Are you looking to move to a new home or apartment in Austin, TX? Whether you’re moving a few houses down the street or clear across the country, Blue Whale Moving Company is here to help. Our residential movers have significant experience in navigating all types of moves to make your moving experience as simple and stress-free as possible. Blue Whale Moving is a full-service moving company that serves Austin, TX and the surrounding area. We have everything you need to make your move easier from beginning to end. We help you with everything from preparing for your transition to relocating your possessions. Call us today to schedule your free consultation and to receive an estimate for your move. 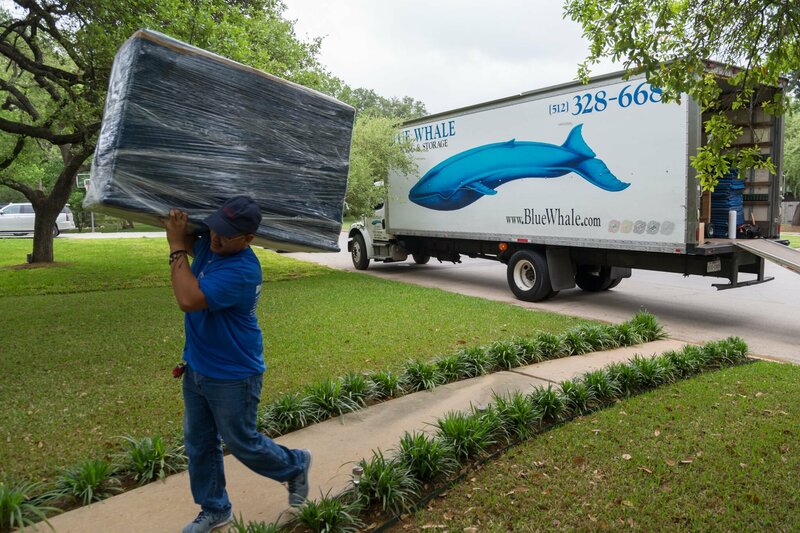 Let our professionalism and expertise show you why Blue Whale Moving is the perfect choice for your Austin, TX home or apartment move. When Blue Whale says that we are a full-service moving company, we truly mean it. We understand how stressful home and apartment moves can be, which is why we aim to provide an ultimate peace of mind for our clients from beginning to the end. Unlike other moving companies, we aim to make the moving experience as simple and as stress-free as possible. Blue Whale goes the extra mile to ensure that you enjoy a seamless transition from one home to the next. • When you’re ready to move, our Blue Whale experts will meet with you and help you plan your move. We’ll even help you pack efficiently so that when moving day rolls around, you have nothing to worry about. • On your moving day, you won’t have to lift a finger. You can relax knowing that your possessions are in the safe, capable hands of our Blue Whale Moving experts. We can handle your move whether you’re moving within Austin or relocating across the country. • During the transition, your items will be safe in our Blue Whale moving vans. When we reach your location, we’ll carefully unload all of your items to your specifications. Are you trying to find the best quality moving company to help you with your cross-country relocation? Blue Whale Moving Company is the right company for you. In addition to moves within the Austin area, our movers have the skills necessary to facilitate a safe long-distance move for you and your possessions. We can move you anywhere in the lower 48 states, to or from the Austin, TX area. Unlike other moving companies, the same Blue Whale crew and truck will stay with you during your long-distance move from beginning to end. With Blue Whale Moving, you can enjoy the ultimate peace of mind when it comes to your moving day. Our expert movers dedicate their services to keeping your move as stress-free as possible. We are a fully licensed and insured company, so in the rare event that something goes amiss, you will always have the greatest level of protection. Are you ready to invest in the most seamless moving day possible? Contact Blue Whale Moving Company today to schedule your free consultation with one of our Austin moving professionals.